St Paul’s Cathedral, unlike most Cathedrals, does not just possess one instrument to lead the services but several housed within different parts of this vast building! This CD is the first recording of the new William Drake organ in the OBE Chapel (2012) - his last complete new instrument. The integrity of the new organ stems from Drake’s own cosmopolitan-eclecticism: a recipient of the German Certificate of Master Organ Builders, his opus list owes as much to Teutonic rigour as to English organs of the 18th and early 19th centuries. 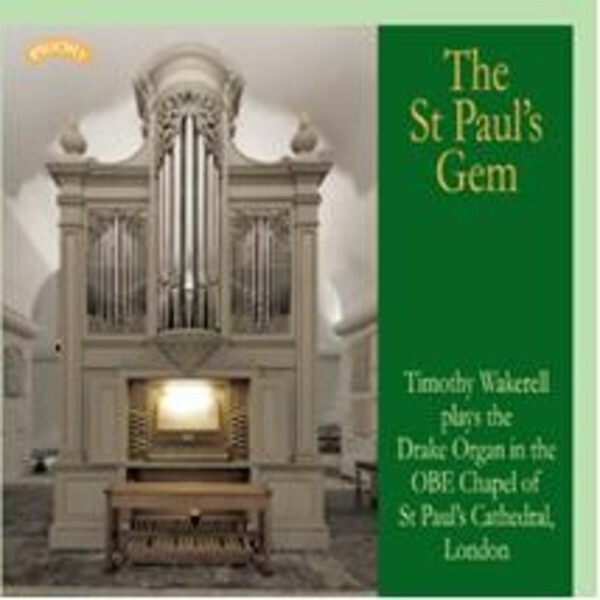 At the time of the recording, Timothy Wakerell was Assistant Organist at St Paul’s. He is now Assistant at New College, Oxford, where he is considered to be in the forefront as one of the finest organists of his generation.